The blockchain is such technology for firms that need trustless transactions and secure record keeping. It is gripping into our world slowly. Startups and some big companies have shown interest in them. In 2009, digital currency was introduced, it is slowly growing and taking the world in its grip. There have been many amendments in various sectors like supply chain, healthcare, financial sector and so on. Blockchain has a huge potential but still, it has faced the rage of criticism. Whenever we talk about blockchain, there are always two aspects of it which are considered. One is the growth of blockchain and its application, while other is that “blockchain is just a myth” and it is not going to last for long. These two things have led to predictions around blockchain technology. In 2018, there was a tremendous response to the blockchain, now the question here is “will this growth continue in 2019 as well ?”. 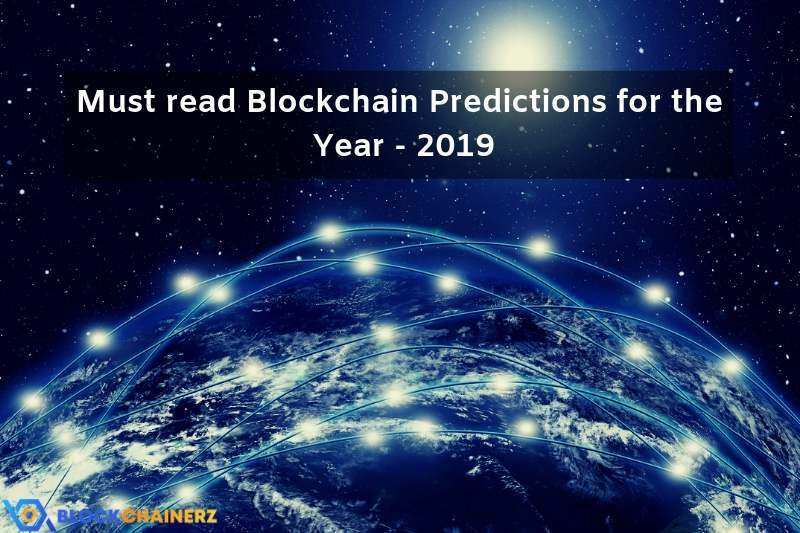 In this blog, we will be focussing on various predictions for Blockchain in 2019. The convergence of blockchain and the Internet of Things (IoT) is steaming up. By including IoT there is a significant increase in a number of devices and sensors for fetching data, & many parties are involved in a business transaction based on that data. Blockchain provides safe record-keeping through an immutable ledger. It allows decentralized transactions & builds trust. The popularity of ICO has increased among investors. Investors are showing a huge interest for a big and small budget to take dive in the pool of cryptocurrencies. In the year 2018, we observed that there has been a significant number of people getting involved with ICO and this trend will definitely continue in the year 2019 as well. Smart contracts is a code which is placed on blockchain and when predetermined terms and conditions are met, they will automatically get executed. For eg., goods getting delivered after receiving payment. Smart contracts are decentralized. They are not managed by any authority. Participants from smart contracts agree to all the rules and regulations. But what will happen if they fail to agree? For now, it’s not exactly clear how these disputes will be handled. But the law should be enforced in smart contracts in the future to solve disputes among parties. The banking sector is constantly working towards exploring blockchain application to ensure a smooth transaction. This will continue to grow in 2019 as well. In the year 2018, many big companies like Amazon, Apple, Walmart etc started turning their heads to blockchain technology. Not only industries but blockchain is also influencing government and intelligence agencies. The government agencies can use blockchain to collect data which can be accessed by some authorized people, with no time constraint. They also don’t have to worry about information getting leaked. The blockchain is evolving rapidly day by day. In 2019, there will be definitely new projects and new platforms waiting to emerge. In the future blockchain will revolutionize business processes in various industries. Still, its adoption requires time and efforts. In the future, we can expect that governments agencies will finally accept blockchain advantages and begin to use it for boosting financial and public services. Blockchain will motivate people to gain new skills, while traditional business will have to completely reconsider their processes. All in all, by 2019, we can see more examples of successful implementation of blockchain technology.